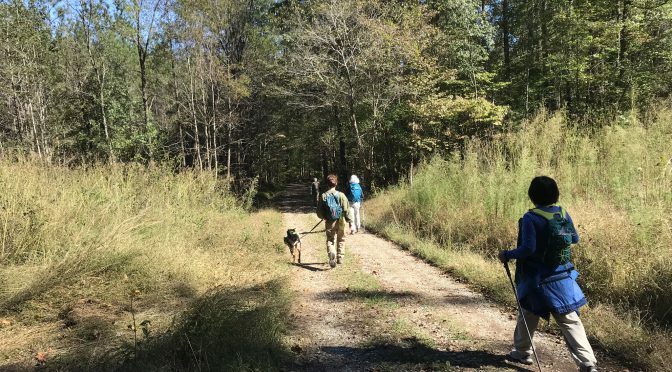 Trail etiquette Part II: Now, about your dog … - GetGoing NC! To wit, six additional rules of etiquette pertaining to our four-legged hiking companions. Leash your dog. A good place to start — thanks, Jennifer. Most places where we hike — state parks, municipal parks, national parks, nature preserves — require that your dog be leashed, and many require that they be on a six-foot leash, not a 16-foot retractable tether that can wreak havoc for unsuspecting hikers, cyclists, equestrians. The reasons for leashing are many. At the top of the list is that some hikers aren’t comfortable with dogs, especially ones that come bounding up to them in the wild, friendly though they may be. There’s also the matter of protecting the dog from—squirrel! Fido’s primal olfactory instincts kick in and he may never be seen again. Keep the other end of the leash attached to you. Yes, it does need saying. At lease twice we’ve had loopholers let their dogs run free, the leash dragging behind them. We’ve since included this seemingly obvious aspect of the leash rule to our prehike instructions. Pick up your pup’s poop. Everywhere you hike, this is the rule. But more than being a rule, it’s just common courtesy to your fellow hikers. Hopefully, we don’t need to elaborate. Seek permission before petting. I know: every dog looks like it wants to be petted. Even so, ask permission before taking a knee and diving into a rousing round of, “Who’s-a-good-good-good dog?” with a dog you don’t know — and, perhaps more importantly, doesn’t know you. Know your dog. Not all dogs like other dogs. Or people. If your dog has an iffy history with other critters, avoid heavily trafficked trails at busy times. One more etiquette addendum. Sharon wrote on our Facebook page to “tell mountain bikers that the rules for them are not suspended on Saturdays (or ever).” Her suggestion was based on a recent visit to DuPont State Forest, home to miles of multiuse trail. On your left. We touched on this passing admonition last week for hikers and runners; it’s especially important when dealing with hikers and bikers. A biker coming up on a hiker should slow and issue the advisory no later than 30 to 50 feet before encountering the hiker. The hiker already favoring the right side of the trail need only take a quick additional step to the right to avoid conflict. A quick “thanks,” a quick “you’re welcome” and we’re good. Additional cyclists? Sharon noted in her comment that the mountain bikers “were eager to tell us how many more of them were behind us.” That’s a courtesy, so the hiker knows that it would be good to stay on the right side of the trail until the announced number of cyclists have passed. 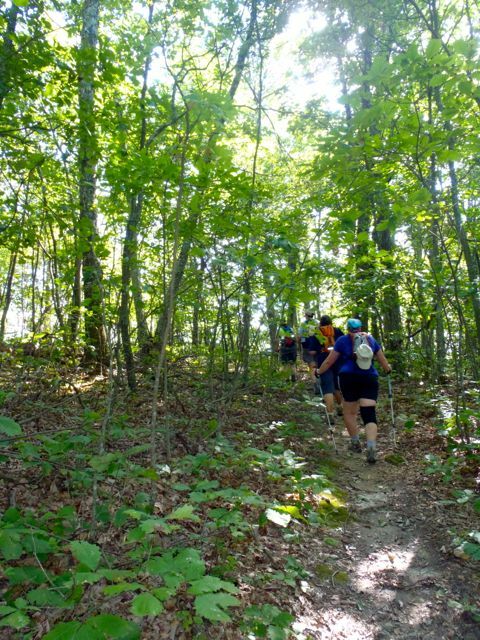 Observing a few simple, common sense rules of trail etiquette will come in especially handy over the Thanksgiving holiday weekend, when the trails will be packed. Be considerate, and have a great hike! In conjunction with our partners at Great Outdoor Provision Co., our GetHiking! 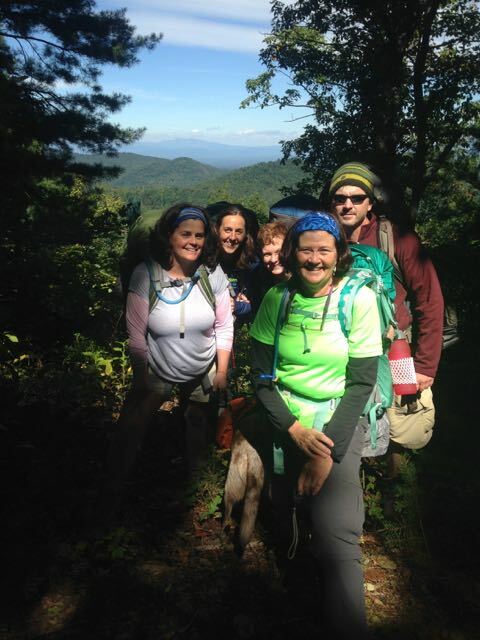 chapters in North Carolina and Virginia will be sponsoring six hikes this Friday, known in retail circles as Black Friday, known at Great Outdoor Provision Co. as Chill Friday. Here’s a list of those six hikes. For more information on each, go here. GetHiking! Triangle: Brumley Forest Nature Preserve, Hillsborough. 9 a.m.
GetHiking! 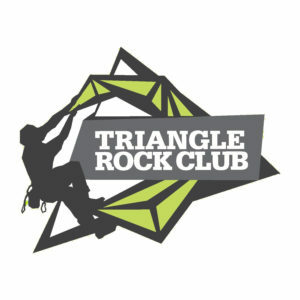 Triad: Hagen Stone Park, Pleasant Garden, 1 p.m.
GetHiking! 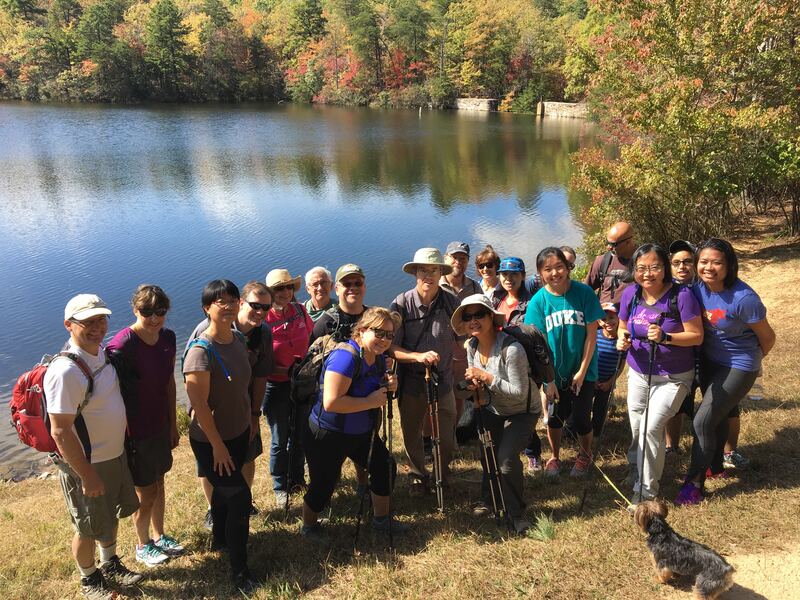 Charlotte: McDowell Nature Preserve, Charlotte, 9 a.m.
GetHiking! Virginia Beach: First Landing State Park, Virginia Beach, 9 a.m.
GetHiking! Charlottesville: Peaks of Otter, Blue Ridge Parkway, Milepost 85.6, 8 a.m.
GetHiking! Charlottesville: Old Mills Trail along the Rivanna River, Charlottesville, 12:30 p.m.